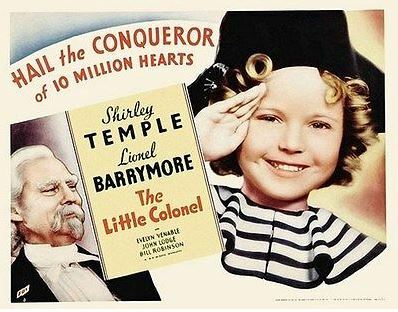 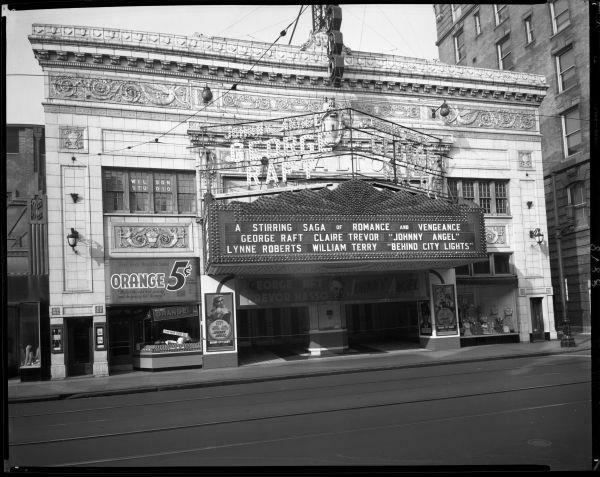 By the time "The Little Colonel" movie premiered in Louisville at the Rialto Theatre on February 22, 1935, Annie Fellows Johnston, the author who created the beloved character, had been dead for four years. 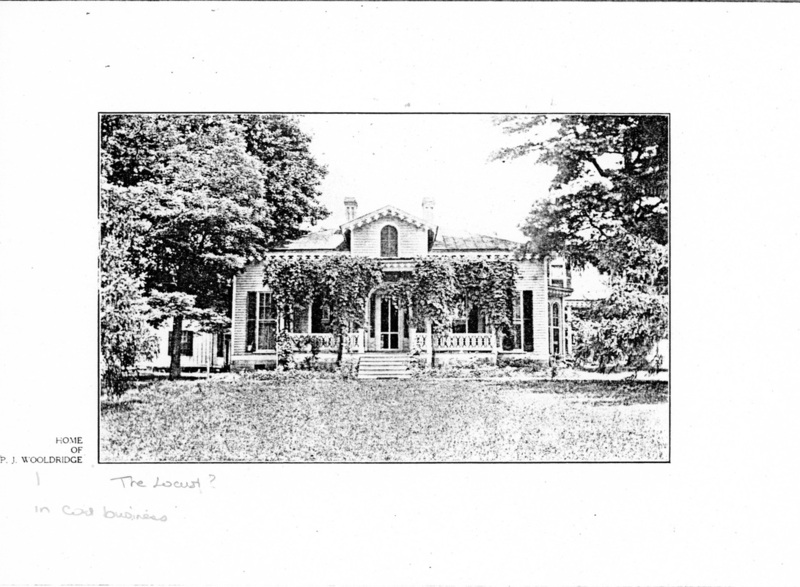 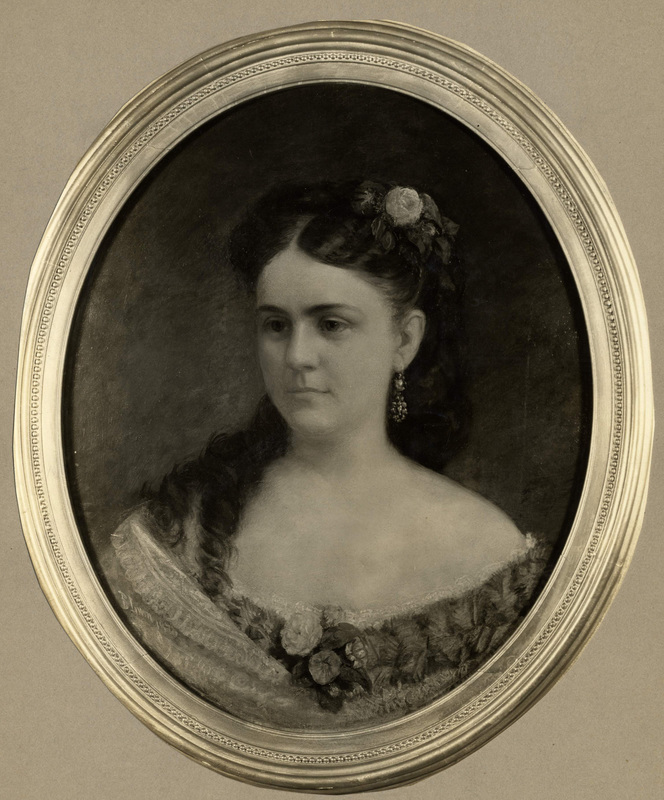 It was her stepdaughter, Mary G. Johnston, who sold Fox Film Studio the movie rights to the "Little Colonel," published four decades earlier in 1895. 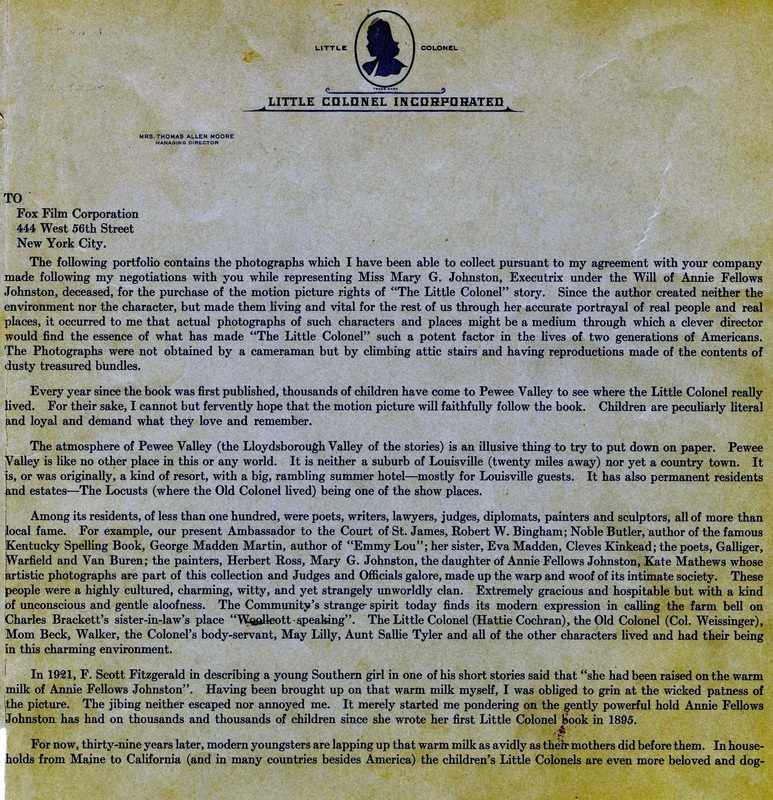 Annie, along with the inspirations for many of the beloved characters from the novel -- Rebecca Flournoy Porter, who inspired Mom Beck, the Little Colonel's mammy; Walker Hardin, the inspiration for Walker, the Old Colonel's manservant; the model for the Old Colonel himself, George Washington Weissinger; and his daughter, Amelia Weissinger Cochran, the model for the Little Colonel's mother Mrs. Sherman -- didn't live to see the story on the silver screen. 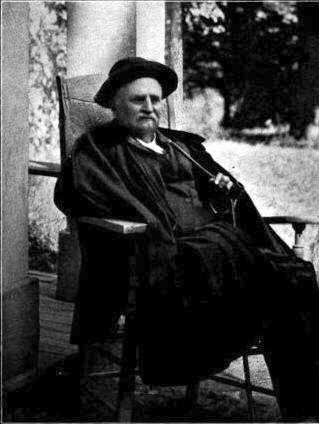 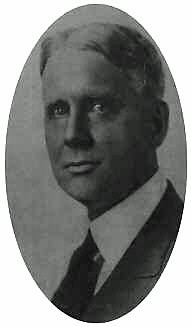 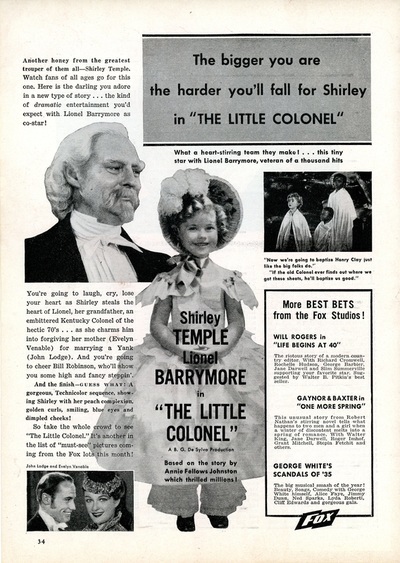 John Hoadley Cochran -- the model for the Little Colonel's father, Papa Jack -- died a year later on July 16, 1936. 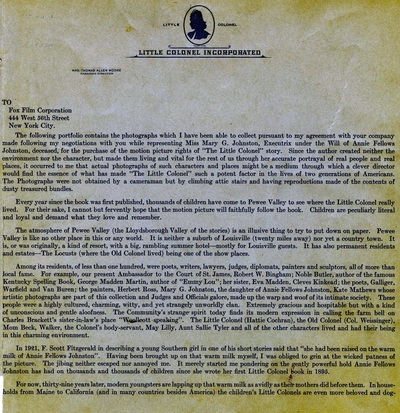 The following portfolio contains the photographs which I have been able to collect pursuant to my agreement with your company following my negotiations with you while representing Miss Mary G. Johnston, Executrix under the Will of Annie Fellows Johnston, deceased, for the motion picture rights of "The Little Colonel" story. 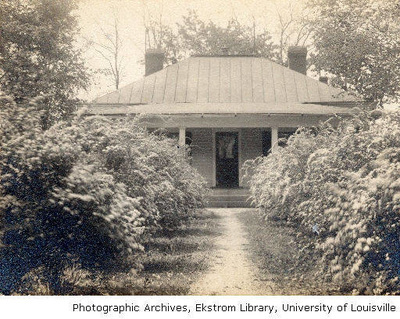 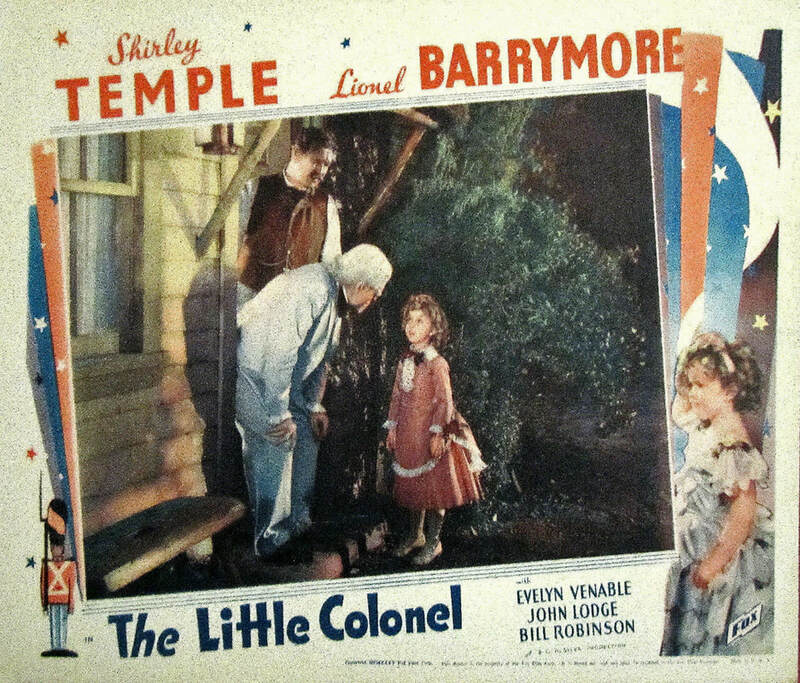 Since the author created neither the environment nor the character, but made them living and vital for the rest of us through her accurate portrayal of real people and real places, it occurred to me that actual photographs of such characters and places might be a medium through which a clever director would find the essence of what has made "The Little Colonel" such a potent factor in the lives of two generations of Americans. 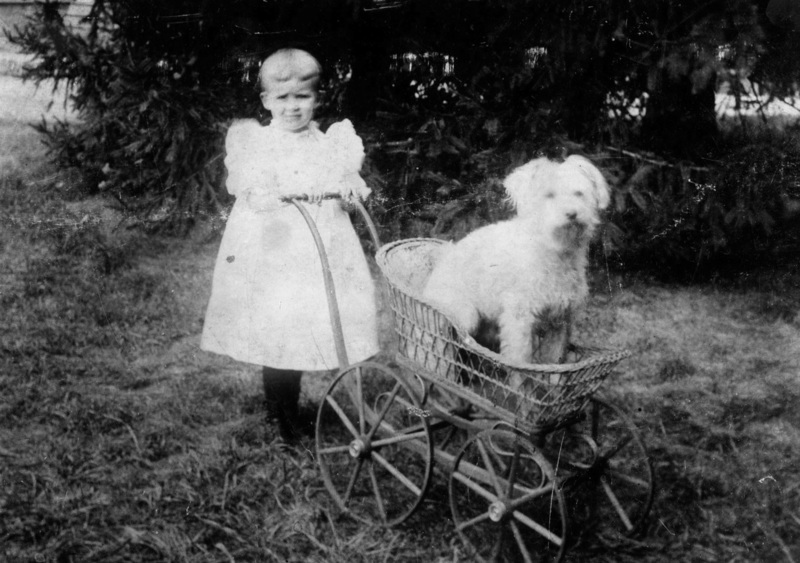 The Photographs were not obtained by a cameraman but by climbing attic stairs and having reproductions made of dusty treasured bundles. 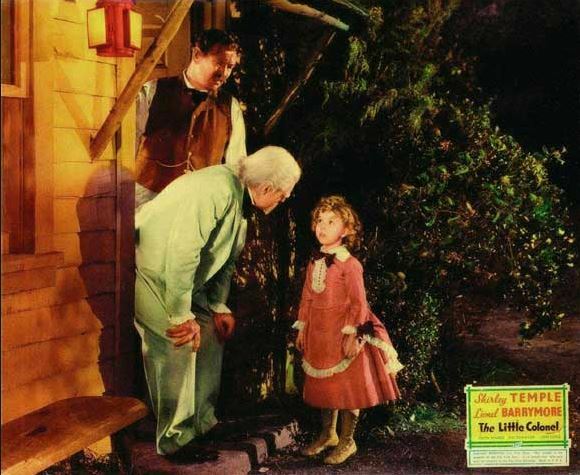 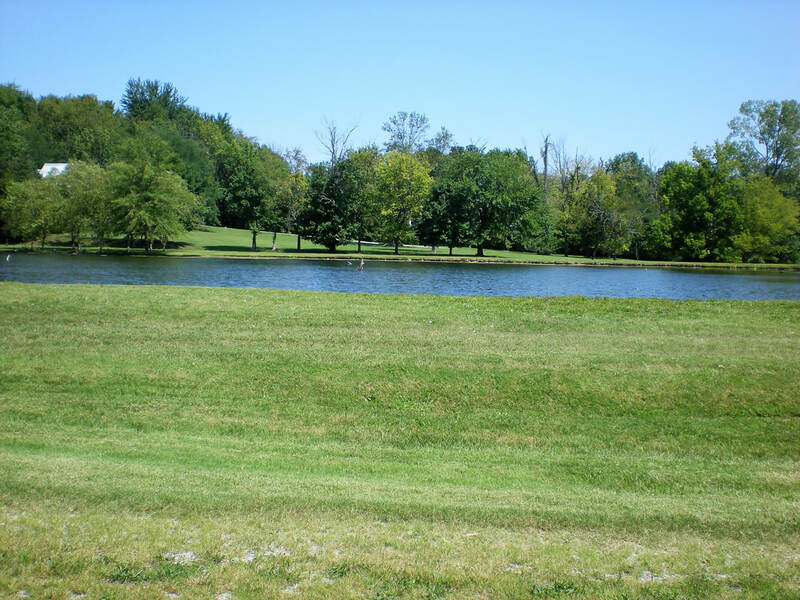 Although it's been rumored that the movie was actually shot in Pewee Valley, it was not. 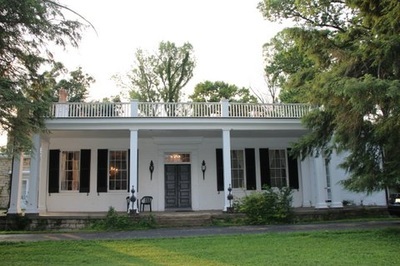 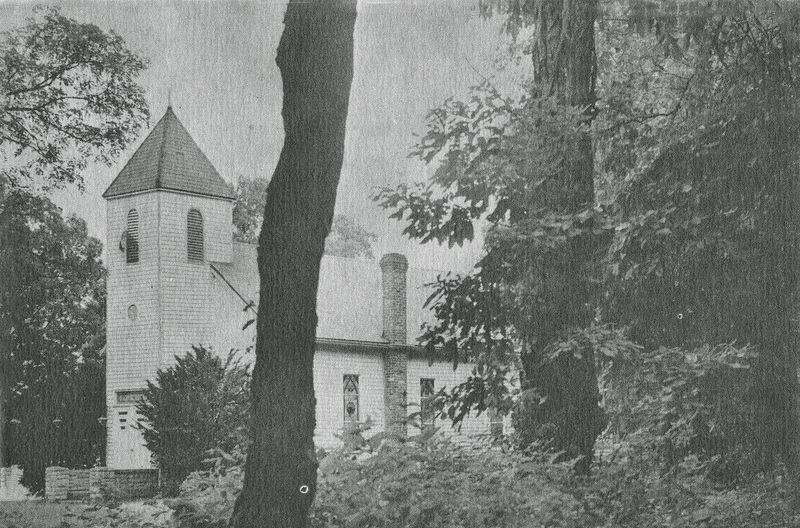 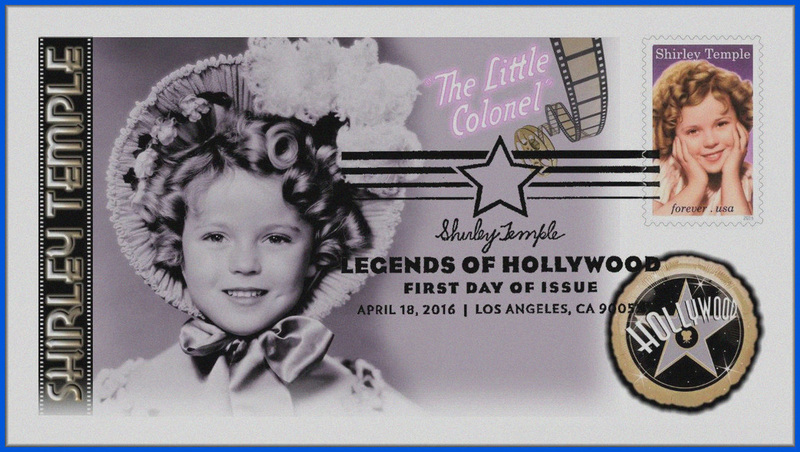 During her lifetime, Shirley Temple never visited here, although she was invited to the Pewee Valley Historical Society's 2008 Little Colonel event. Unfortunately, her health prevented her from coming. 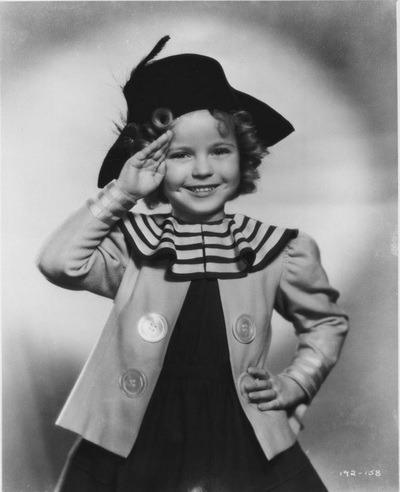 She died on February 11, 2012 at age 85. 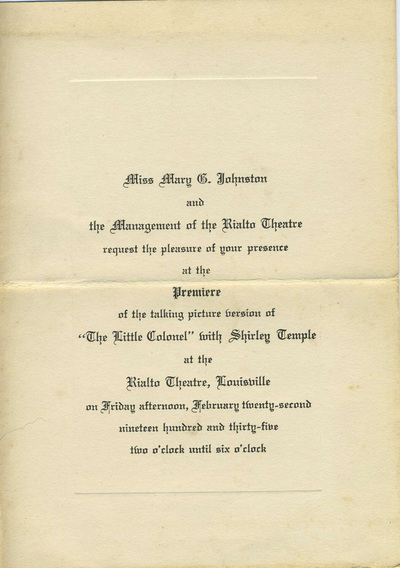 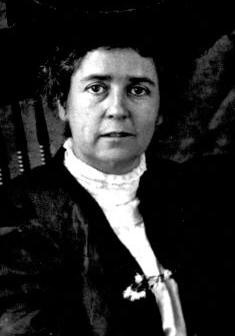 ​Proof that interest in Annie Fellows Johnson’s [sic] ‘The Little Colonel’ has not declined with the years was offered Friday when thousands of children from dozens of communities near Louisville came on interurbans, in private conveyances and in school busses to see what Hollywood has done to one of the most lovable characters created by a Kentucky author. 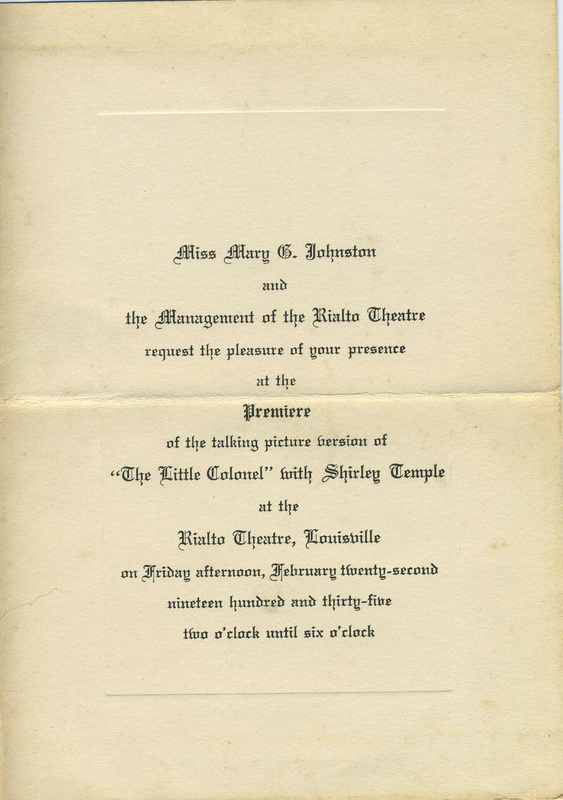 . . .The paper noted that "the attendance record of the house was broken" by a crowd "estimated at something like 15,000." 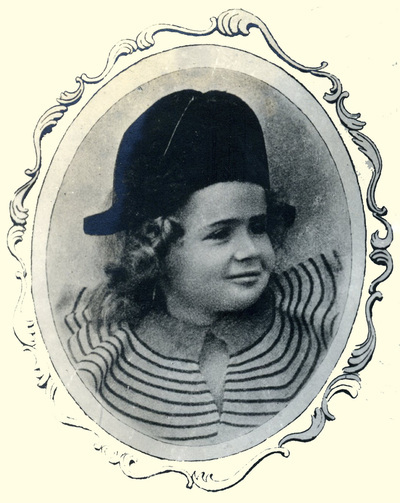 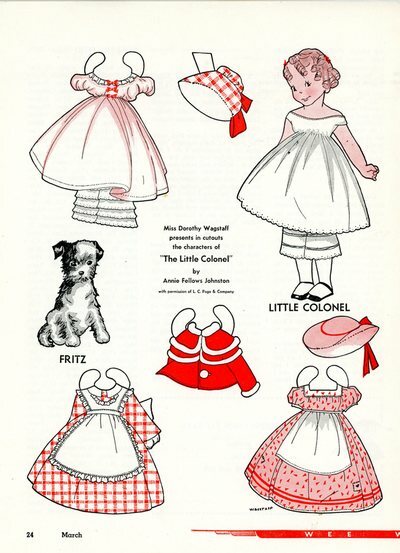 Designers opened a line of Little Colonel fashions for girls aged two through twelve. A New York hotel presented a Little Colonel fashion showing. 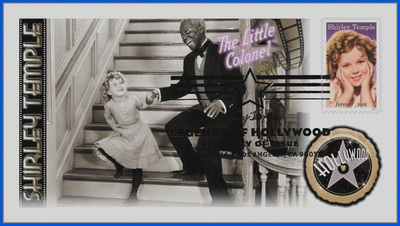 Macy’s opened a Little Colonel Shop. 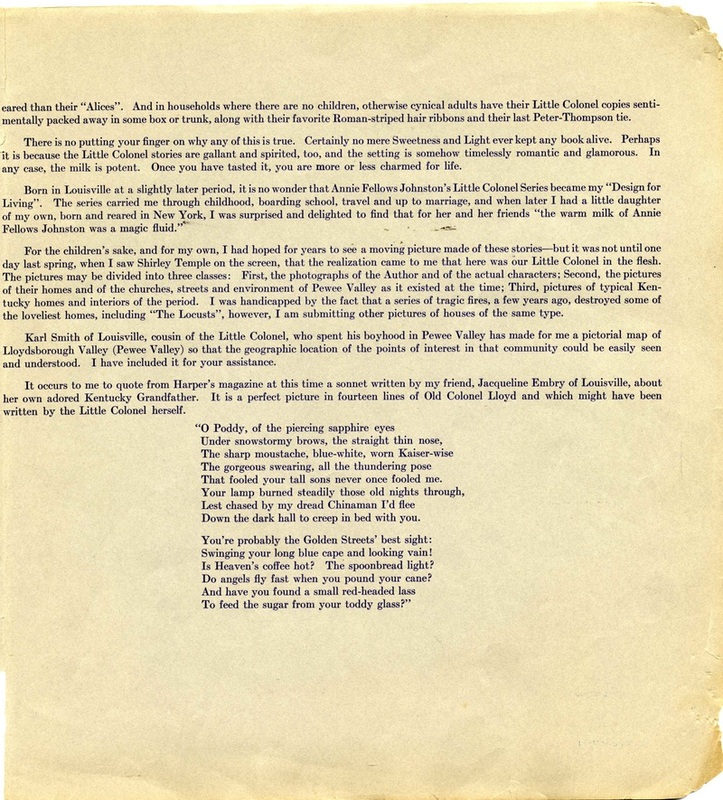 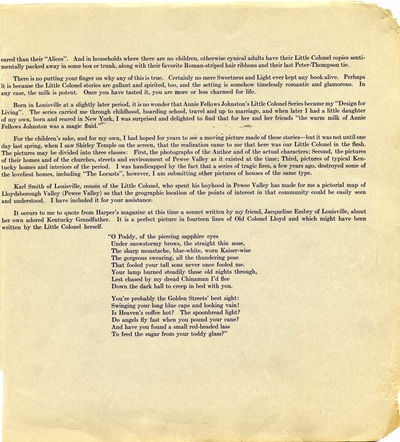 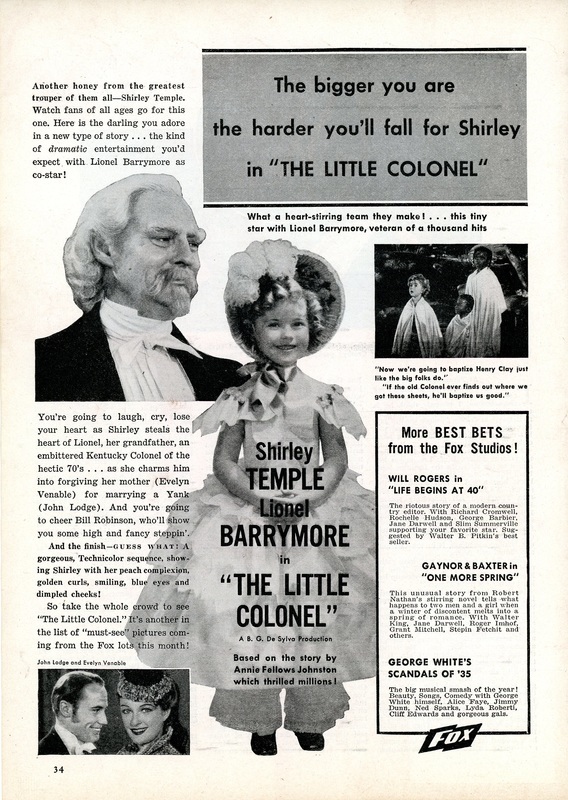 While newspapers and magazines devoted columns and photographs to the latest fad, store advertisements were covered with Little Colonel merchandise. “Little Colonel, Incorporated” granted licenses to twenty-five manufacturers to make “Little Colonel” clothing and other merchandise. In 1935, the Louisville Herald-Post announced that factories were producing dresses, coats, hats, shoes, tooth brushes, pocketbooks, handkerchiefs, jewelry, dolls, toys, watches, clocks, and games. 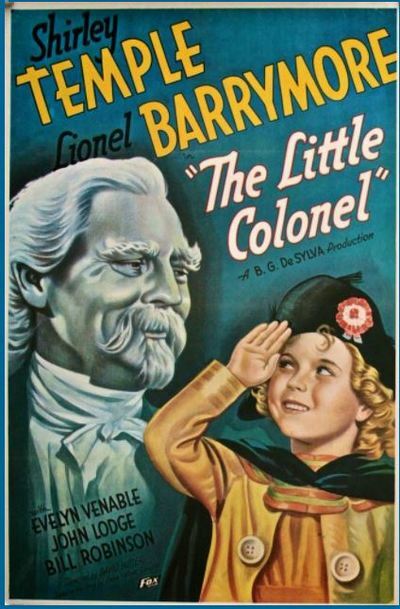 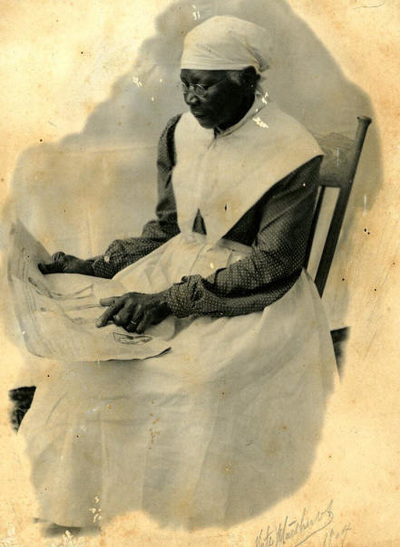 Annie Fellows Johnston's Little Colonel novels have been accused of perpetuating stereotypes of American blacks. Born and raised in Indiana in a minister's household without servants and married to a man who served in the Union army, she was no bigot. 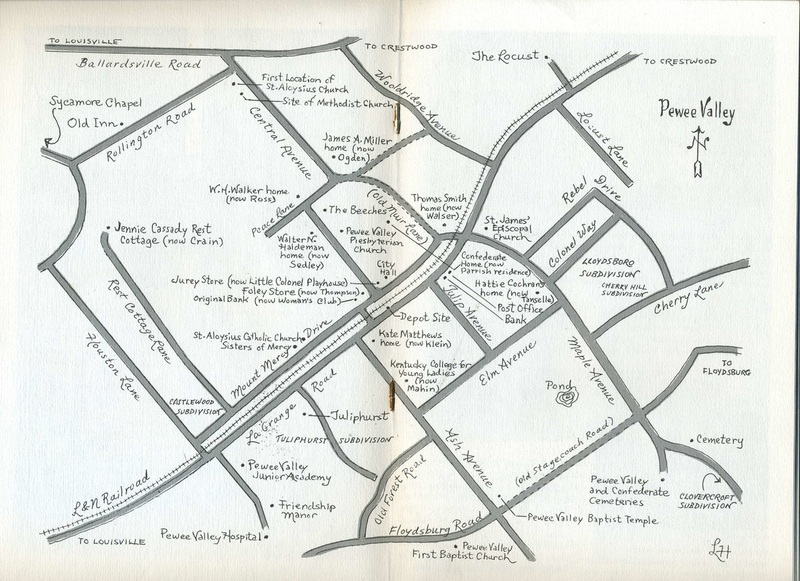 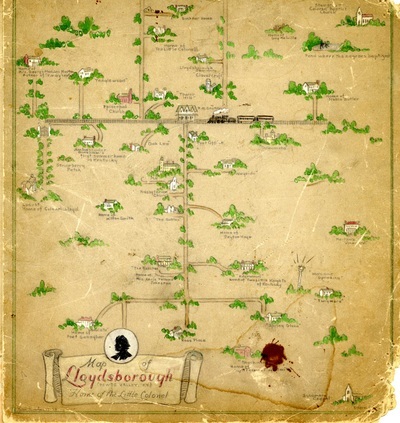 She simply wrote what she saw and chronicled the prevailing customs, language and conventions of the time and places in which she lived. 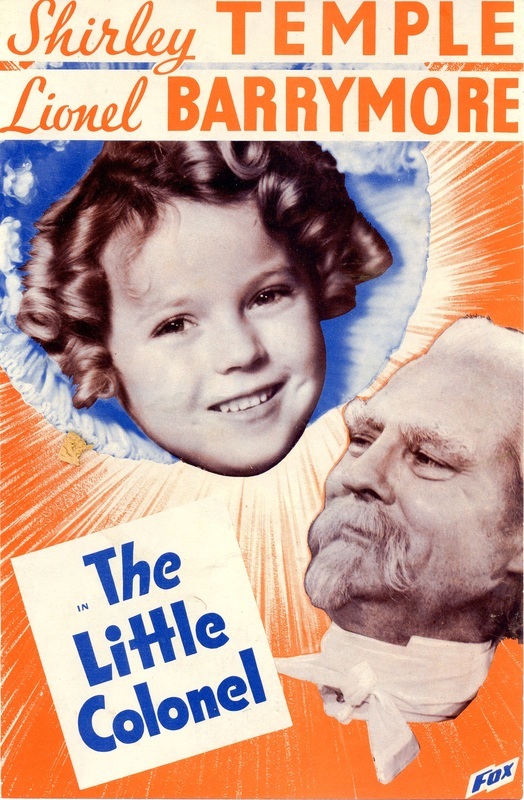 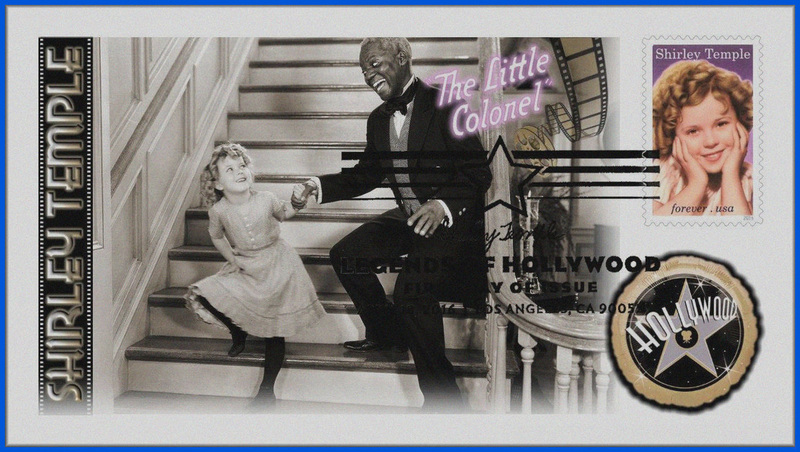 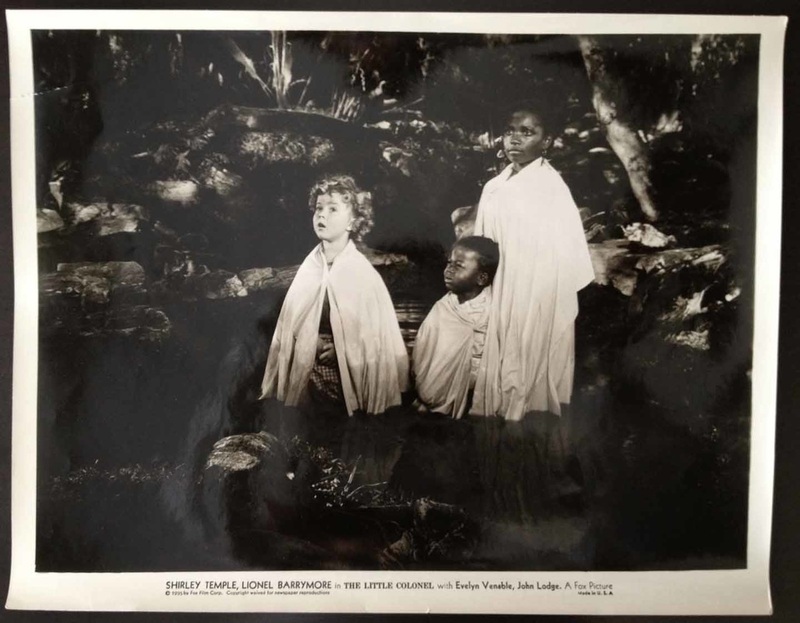 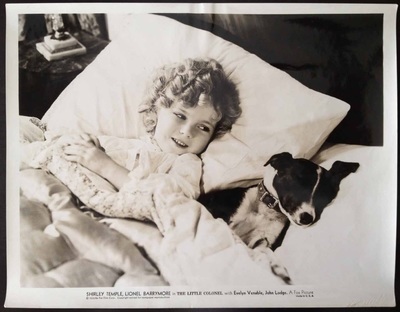 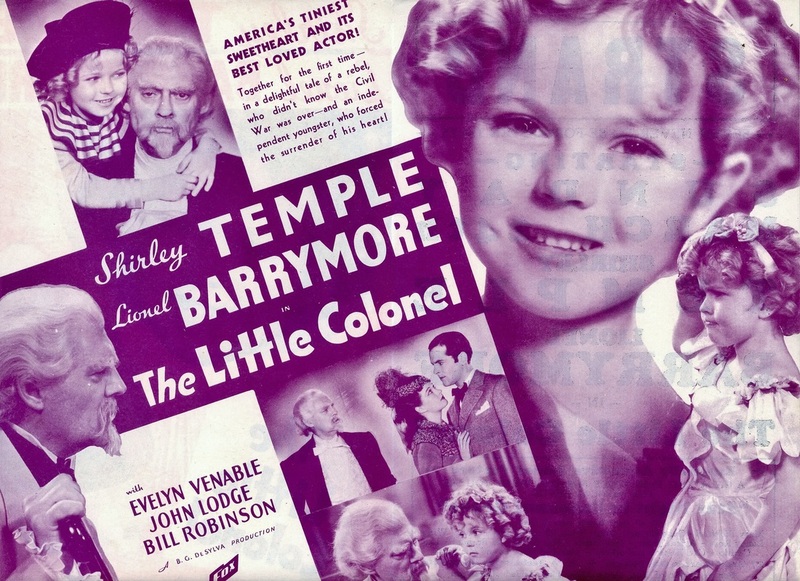 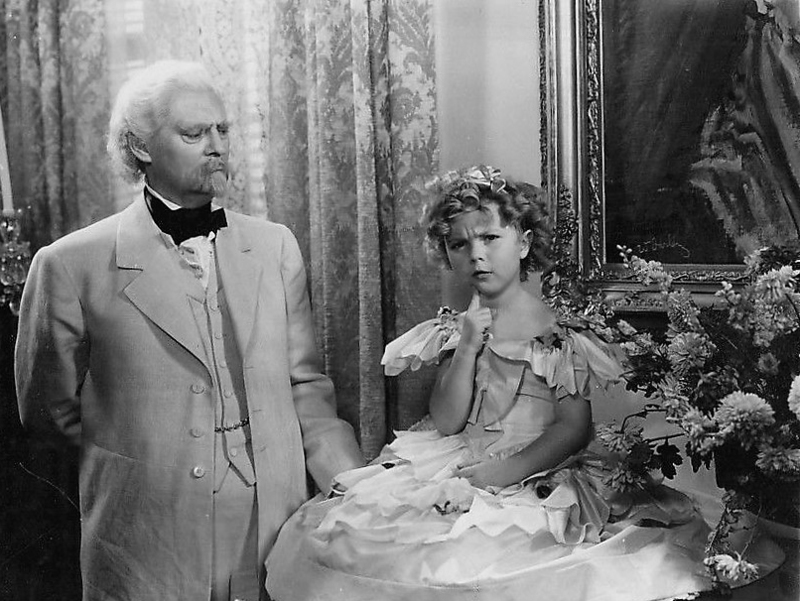 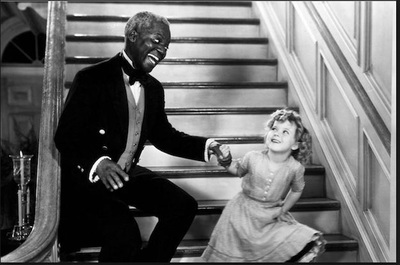 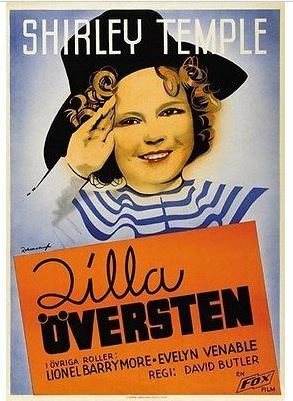 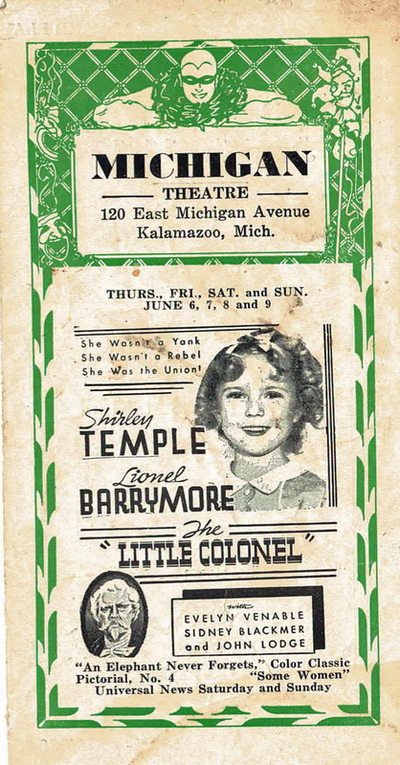 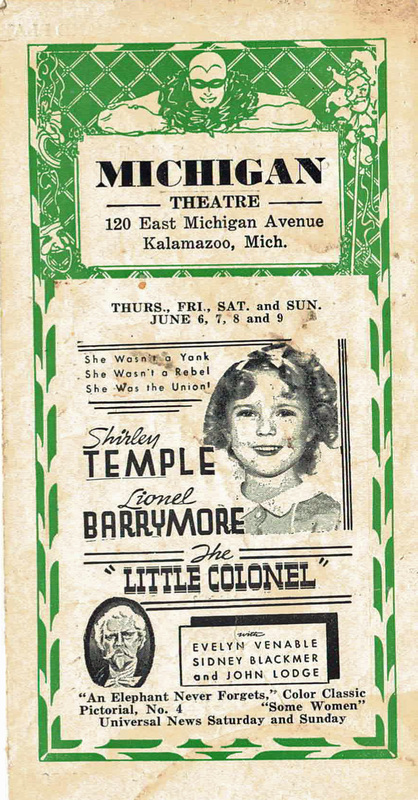 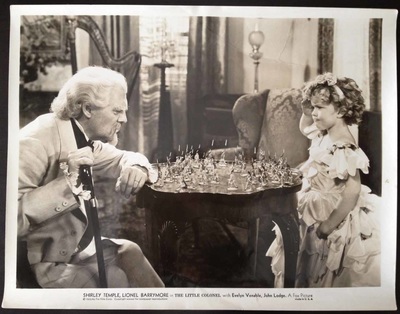 "The Little Colonel" screen adaptation, however, broke color barriers with its iconic scene featuring Shirley Temple and Bill "Bojangles" Robinson tap dancing hand-in-hand down the staircase at The Locust. 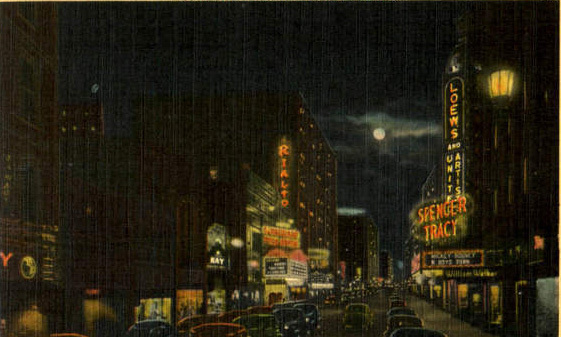 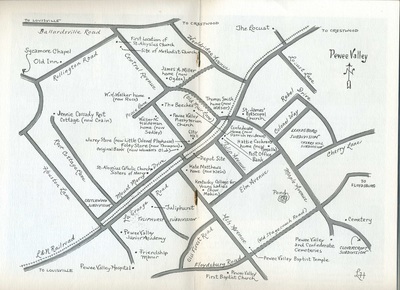 It was considered so controversial in the 1930s that the scene was cut in the South. But it paved the way for three more tap dancing scenes featuring Temple and Robinson in subsequent films and a life-long friendship between the two stars. 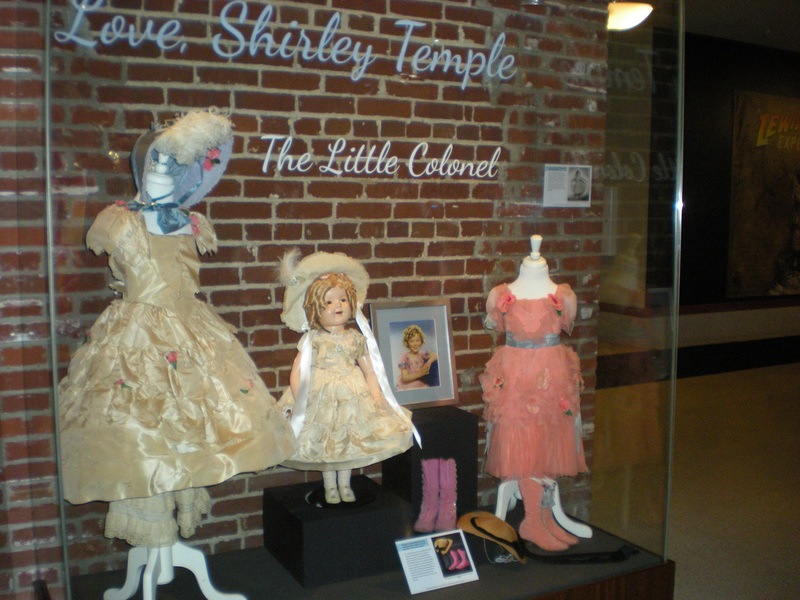 Shirley Temples' Southern belle and "pink party" costume from the Technicolor scene in "The Little Colonel" movie on display at Frazier History Museum in 2015. 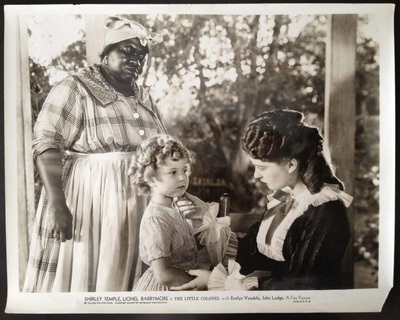 Photo by Donna Russell. 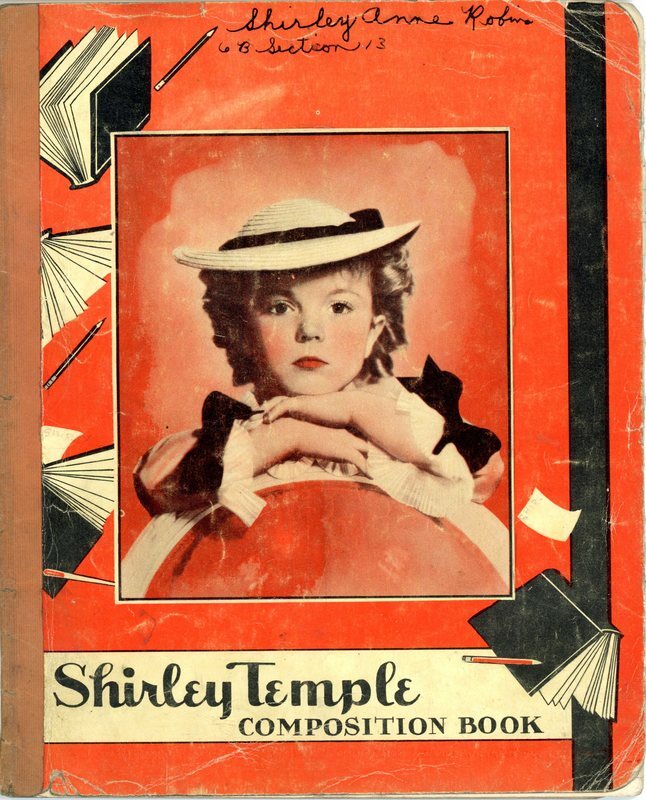 Shirley Temple and Little Colonel fans who missed the exhibit can still purchase the lavishly-illustrated, 365-page catalog, "Love, Shirley Temple" directly from Thierault's. 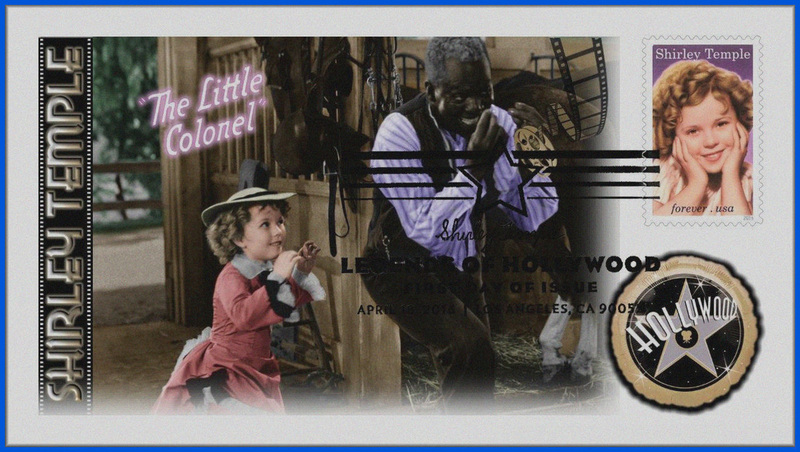 On April 18, 2016, the United States Postal Service honored child actress and United States Ambassador to Ghana and Czechoslovakia Shirley Temple Black by placing her on the 20th stamp in their Legends of Hollywood series. 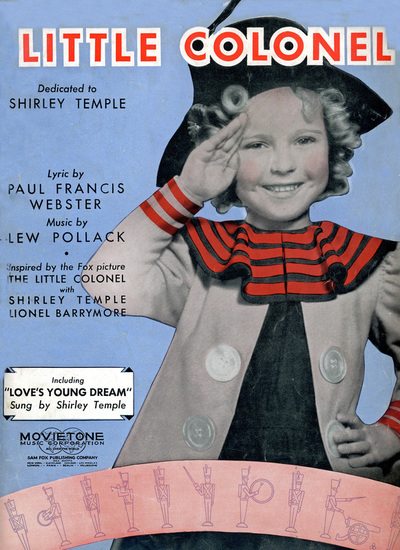 Artist Tim O'Brien created the painting based on a 1935 image from Curly Top copyrighted by Twentieth Century Fox Film Corporation. 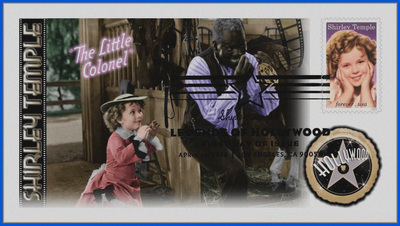 The covers shown above are from the first day of issue for the stamps and feature scenes and photos from "The Little Colonel." 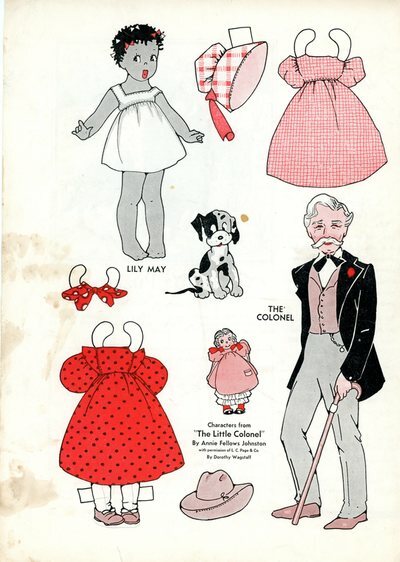 1990 Doll Reader Magazine "Little Colonel: The Book and the Dolls"